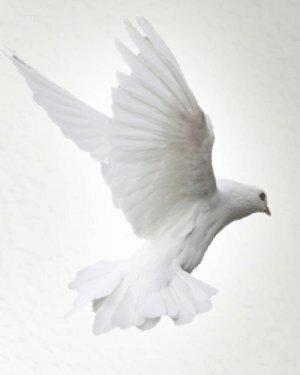 Obituary for Kimlyn Latoya Polk | Kelsey Funeral Home of Albemarle, Inc.
Kimlyn Latoya Polk, age 43, completed her life’s journey Tuesday, April 9, 2019 at her residence in Albemarle, North Carolina. Born November 19, 1975 in Anson County, North Carolina, Kimlyn was the daughter of Willie B. Polk, Sr. and the late Odessa Clark Polk. Kimlyn’s kind and gentle demeanor will be remembered by all who knew her. She attended the public schools of Stanly County, North Carolina and graduated from Albemarle Senior High School-Class of 1994. Kimlyn was last employed with Best Western Hotel, Albemarle, North Carolina. She enjoyed cooking, and in her leisure, she tried new recipes and surprised her family with treats. She instilled in her children the value of good housekeeping skills. Her greatest pleasure was spoiling her grandchildren. Those who survive, and those who will miss Kimlyn dearly are, her children: Topeka Smith, Amanda Smith, Lundasiea Bowden, Dion Smith, and Leo Watkins, all of Albemarle, North Carolina; four grandchildren: Juaniya, Wisdom, Promise and Nikeron; two brothers: Willie Polk, Jr., Charlotte, North Carolina and Charlie Polk, Mt. Gilead, North Carolina; a sister, Janice (Daniel) Smith, Raleigh, North Carolina; three uncles: Prentice (Esther) Clark, Barrington (Rose) Clark and Frank Clark, all of Wadesboro, North Carolina; a Godson, Antwan Bennett, Albemarle, North Carolina; nieces, nephews, cousins, other relatives and friends.